This weekend was a busy one for the club, with plenty of races & results, despite the wintery weather. The Bernard Pierce Memorial – Wadsworth Trog 2018. CVFR Dougie Zinnis. Highlights included local classic, renamed for 2018 as the “Bernard Pierce memorial Wadsworth Trog” in homage to its creator (who sadly passed away in 2017), expertly organised by Calder Valley’s Jake Ackroyd. A beast of a race, starting from Old Town Cricket Club, with 19 miles (31km) and 3650ft (1110m) of partially marked course – the Trog is Infamous for its mud in the best of weather – and this year was a veritable bog slog. Several seasoned racers commented they had never seen it as such a quagmire before. The final uphill to the finish line merited crampons for the mud alone, without even mentioning the liberal powdering of the white stuff. 168 runners battled through white-out conditions to complete the race, won by Carl Bell of Keswick in an impressive 2:39:20. 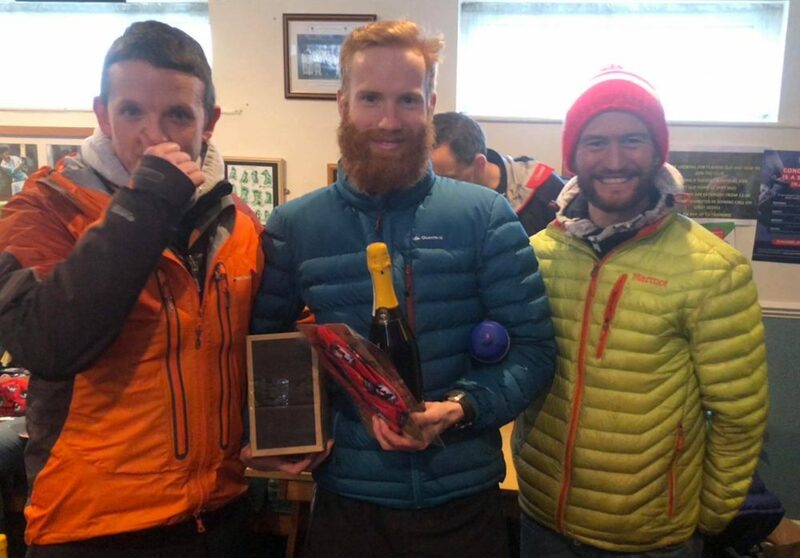 CVFR’s Andy Swift once again put in a performance befitting of his name, finishing third overall; and with Ian Symington & Mark O’Connor placing 10th & 11th, the CVFR men stormed to shared victory (the only team with more than two runners in the top 15). The other three CVFR mens teams placed joint fourth, 14th & 19th on a strong day out for the club. Away from home, this Sunday marked one of only two Leicestershire fell races officially registered with the FRA. Charnwood Hills fell race 14 miles of cross-country includes just enough hills to qualify as a Category C race. Despite the Sunday sunshine, this year’s run was especially tough underfoot, with recent wet conditions making for mud-a-plenty. 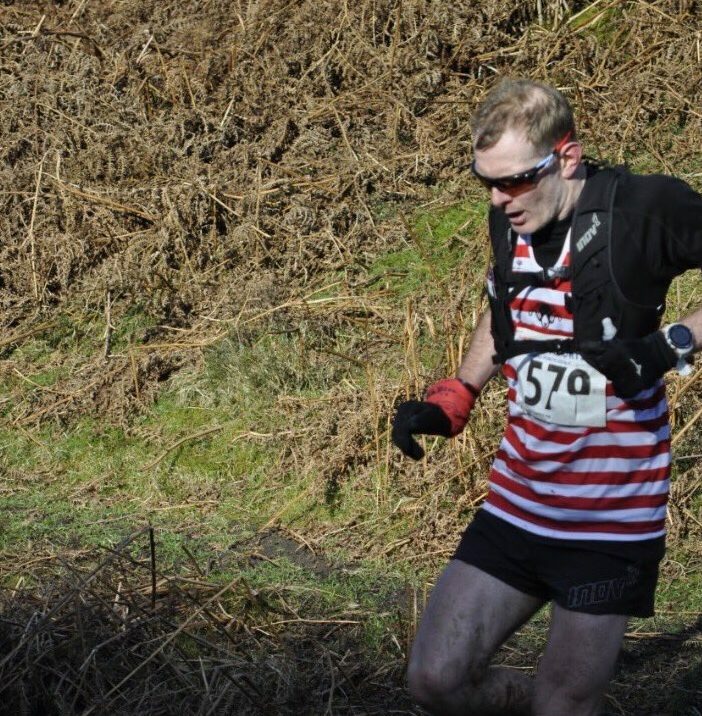 CVFR red-and-white hooped runner Jason Wilf Williams battled it out at the front to finish a well-deserved 3rd in his first fell race of 2018. Photo 3 (credit Clive Mason) of Jason Wilf Williams running in this last weekend’s Charnwood Hills fell race. 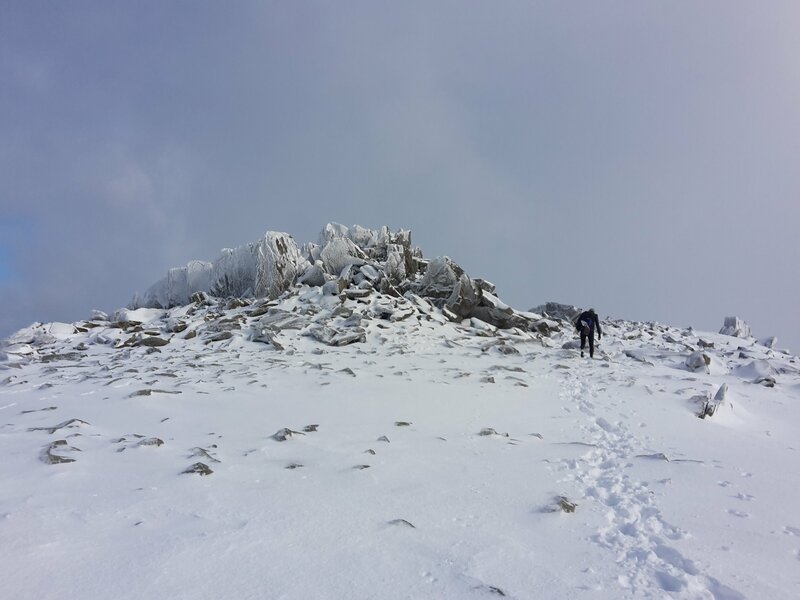 This Sunday also saw three CVFR men taking to the mountains in Wales (Carneddau) to compete in the first of four navigation score events across moorland, fell and mountains in North Wales, the Peak District and Lake District (x2) that will make up the challenging 2018 Kong Mini Mountain Marathon Series. The exact location of each event is only announced one month before the race, and the best three results count towards a final league score. 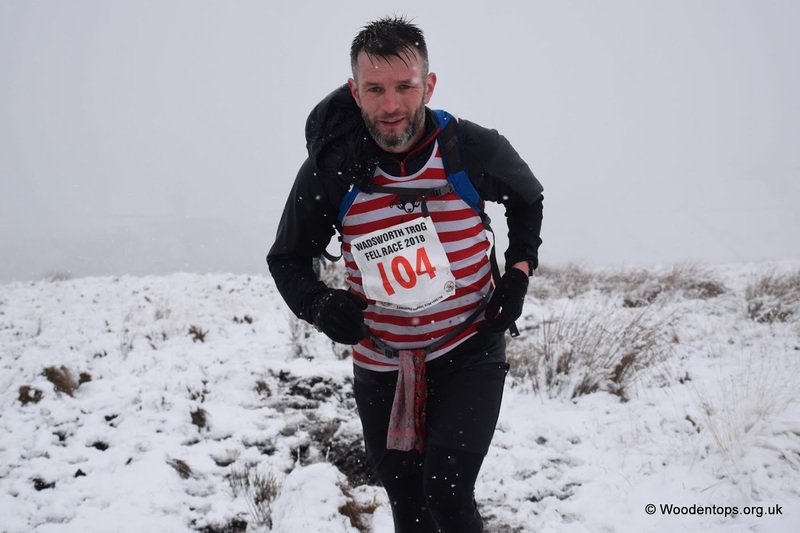 Calder Valley men got their campaign off to a strong start, with cracking individual results in harsh & testing conditions. Matthew Roberts did extremely well to finish 15th overall, scoring 500 points in just over four hours. Richard Sunderland came 8th in the V40 category, with 410 points and fellow CVFR Tim Brooks came in just behind at 12th V40 with 360 points. Photo credit Richard Sunderland in Bethseda, Gwynedd, for the Kong Mini Marathon Series Event 1. 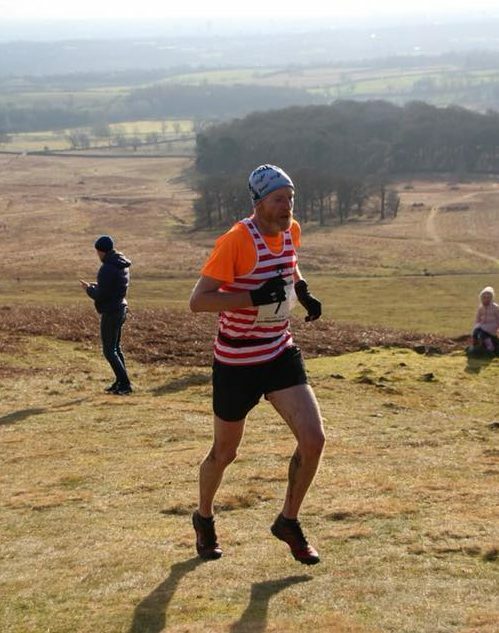 New member Mark Burton also deserves a mention, coming in 14th overall and 3rd v40 at Long Mynd. Cover photo credits: Dave Woodhead @ Woodentops of CVFR’s Andy Swift with P&B Joe Baxter slogging through the snow in the BPM Wadsworth Trog.